Wedge foam is used on beds to prop up pillows for head, neck, and back support. It’s also use to elevate legs and on daybeds to make them comfortable to sit on. The width is 36 inches, the height is 12 inches, and the depth tapers from 8 to 4 inches. Perfect item, purchased a second time. 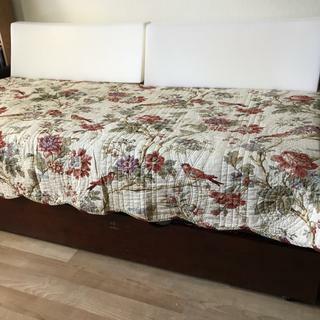 Need for day bed to make into sofa. I thought the size would work well. This was the only place I could find these bolster forms! The dimensions fits my sofa bed sewing project. I will be using this on a daybed. Works great on day beds. As a back to a daybed. Two of these bolster forms are perfect to create the "back" of the daybed. We wanted to elevate our legs while watching TV in bed. Needed a back wedge pillow for large bay window. I need to make good use of a small amount of space, so I'm turning my twin bed into a daybed with these backrests. Physical therapist had me use one and it worked real well for me. Deeanas Designs Etsy shop made custom covers for a daybed and recommended these foam inserts. The foam is for a wall bed. I already bought 2 of these wedges for one wall bed, and they worked out really well. Perfect for making a foam support in front of a headboard on my wall bed. I can easily remove it when I put the bed up. Price was great. Maybe I should have gone with high density, but for the price, I thought it was worth trying the regular foam first. I purchased these wedges to have a backrest for my son's bunk bed. I need to replace the cushions on a day bed and these are the right size and shape. The price is very good. The dinette in our camper collapses into a bed. I'm trying to use it as a seating area. I hope to use this wedge foam as a the back to the "sofa". 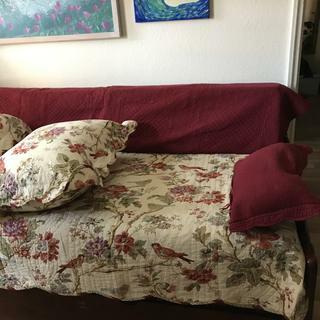 I am turning a double bed into a daybed, so I turned it sideways and am going to cover the wedges with a sturdy fabric and make it a comfortable place to read to my grandchildren! Turning a single bed into a day bed for reading etc. I use it for a golf training aide. Don't have a headboard on my bed. This would be good to prop my pillow and read in bed or watch television. This wedge is exactly what I have been looking for to complete our outdoor daybed. It's by far the best price on this item I have seen in my searches. OFS has proven to be a great place to order from, and they are fast with their deliveries. So glad I found them! I need back support when I sleep. I plan on making a removable cover for easy care. I have a daybed that I'm turning into a couch for our porch. I use my day bad like a sofa. I have fooled around with pillows trying to get enough support and comfort, but have not had good success. I'm hoping this bolster will support my back and make my day bed more comfortable. A cheaper option for my daybed. I need a wedge for my daybed. This is reasonably priced and I don't have to pay S&H. Can this be used to lean on like a couch back? BEST ANSWER: Yes, it's often used to lean against on daybeds. BEST ANSWER: Because we carry this product mainly for people making their own covers, we don't have pre-made covers available. can this be used while laying on my back to rest my legs over to take pressure off my spine? BEST ANSWER: You could certainly use this wedge for that! Can this be used to prop your feet up? BEST ANSWER: I mean sure? But so can a lot of things. What are you thinking specifically? BEST ANSWER: Hi density foam will be heavier and firmer. In theory it should also last longer, but it will be less comfortable. I am using normal foam wedges as back rests on a window seat and they're perfect. They feel pleasantly firm and comfortable to lean against. I also sleep on medium density foam and find it very comfortable. I need a white color for the wedge pillow. do you sell covers? Where can Imget cover for wedge pillow. BEST ANSWER: We do not sell pillow covers. Can you cut the 36” long foam wedge to 27” length? BEST ANSWER: We do not offer custom cuts. This foam can be cut with a serrated or electric knife. 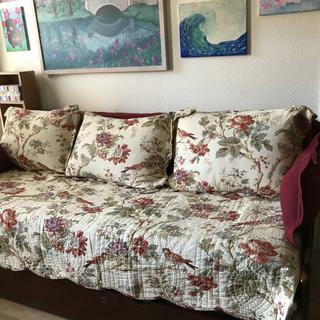 I have a bay window with center 72" wide and 22" deep, would this cushion fit ? BEST ANSWER: It may be small. Is this a firm or soft wedge? BEST ANSWER: This is a medium density foam. Can you use for pregnancy to sleep on tummy? BEST ANSWER: We recommend consulting your doctor if you'd like to use this foam for that purpose. I love these. I'm using them on twin mattresses that I've made vinyl fitted sheets for as a couch . I plan on purchasing more to fit the mattresses . I found that king-size pillowcase covers do fit over these. Works perfectly!! Just what I needed! When I opened the box, I thought they must have gotten it wrong. This box is too small. But when I opened it, I he large foam Bolsters were shrink wrapped tightly in a kind of Saran wrap. After cutting them open, they sprang into shape... Very firm and the perfect size. I'm so happy I got them for a good price. I had thought I'd have to have them precision cut for a huge price! Extremely Satisfied! Not much to say about it, but it showed up and was the right thing. 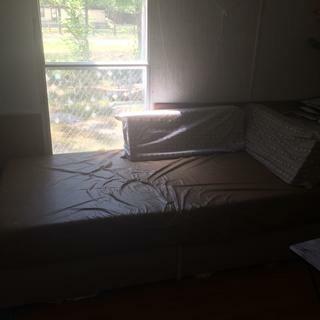 I love my daybed now the foam was just right however I thought I would need four but only needed two. Tried to send two back now I’m stuck with two. Wish I would have read up on the return prosses because returning it was rediculus. Would have cost me $71.00 to ship back. My second purchase. Its the perfect size, good quality and great support for my daybed. Great quality, purchased two, and sewed covers for both. Our guest room can now serve us better. Would purchase again!